If you are planning to pay a visit to one of the world heritage site and have not settled for your accommodation needs, you are coming to the right place. Also, with the current strong currency exchange rate (SGD to RM), it is an opportunity not to be missed. A. 3 days 2 nights Stay (Dorm), with breakfast at RM 140 nett per person. Syok Hostel is suitable for those who are travelling on budget or backpackers. Check out my earlier post here for my personal experience in this artful hostel. A. Spa Package RM800+ for 2 nights stay for 2 persons (twin-sharing). C. 1 hour body massage for 2 people. 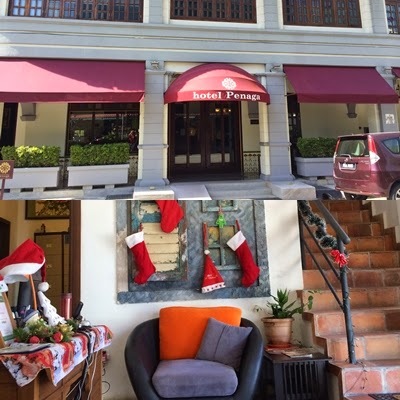 Hotel Penaga is a mid-range boutique heritage hotel located at the heart of Geargetown. Check out my earlier post here for my personal experience in this prestige hotel.